This summer I had the good fortune of returning to my academic roots and spent a few weeks in Central Pennsylvania, remembering my graduate school days at Penn State. While there my wife and I went to a yard sale and noticed that the family was incredibly well-traveled. 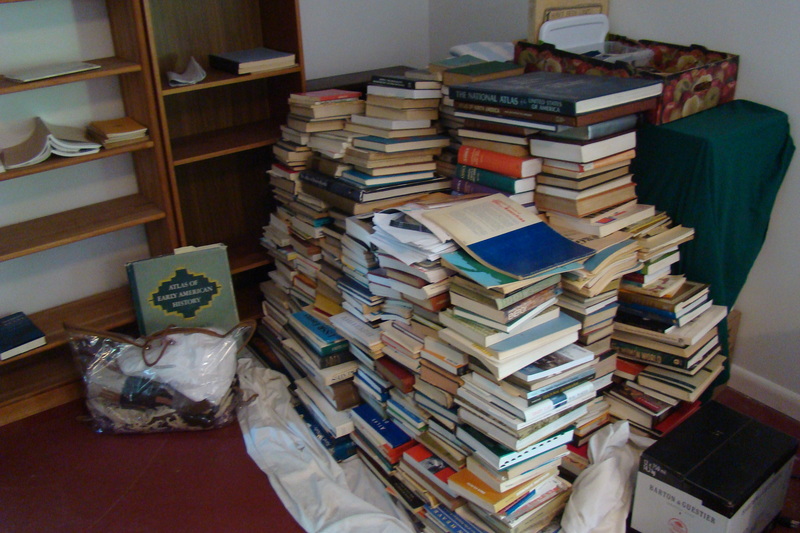 It turned out to be an estate sale and it represented a portion of the belongings of the great cultural geographer, Wilbur Zelinsky. I heard earlier through the Penn State geography department that he had passed away, but was startled to find myself discussing his legacy with his children (see his family obituary here). I was saddened to hear of his passing and feel amazingly fortunate to get an inside glimpse of his office space. The family was also eager to show some of his collection to someone who knew his academic reputation. 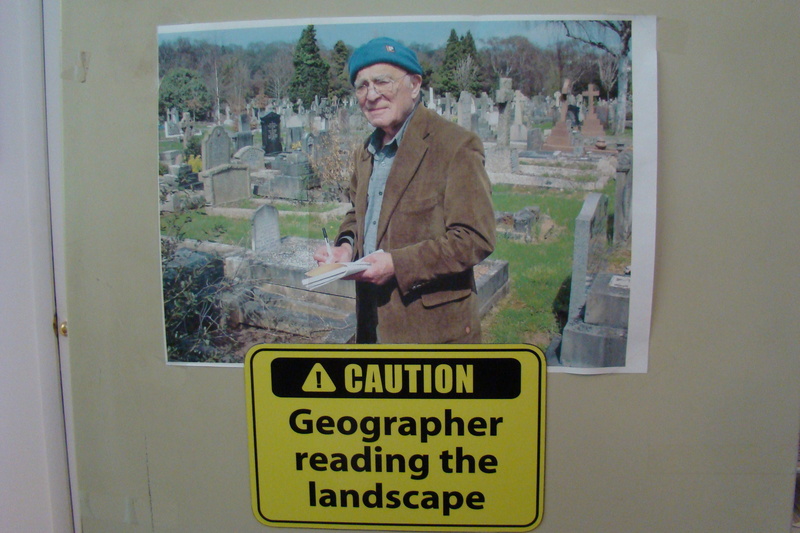 They had always known that he was a well-respected academic but didn’t know how important he was to the field of geography It was amazing to see how he kept researching until the day he died, even leaving behind one unpublished article (his Curriculum Vitae is a prolific marvel). Some of the new cultural geographers have staked their claim to fame by minimizing the work of earlier geographers as being under-theorized and criticizing their framework for understanding culture. I had the opportunity to discuss this with him one day and he stood behind all the works that he wrote and didn’t see why his articles were always the ones cited when that was how an entire generation of cultural geographers approached culture in that manner. This was when I realized that young academics always make a name for themselves by standing on the shoulders of giants; some choose then to look down on their predecessors while others acknowledge that their work is dependent on those who came before. I also came to the realization that nobody will ever critique the work of someone that didn’t matter; Wilbur Zelinsky and his work left an indelible imprint on the discipline. Yes he did represent the old guard, but one that we would do well to remember. This picture that he kept on his filing cabinet is symbolic of the best elements of that generation (plus that is the most amazing magnet ever). He is meticulously documenting observations about the material landscape, using tried and true tools; he’s researching something that most might consider old-fashioned and have abandoned in the quest for something newer and shinier. This is vintage Wilbur Zelinsky in all the best connotations of the word. He studied the landscape like no other. 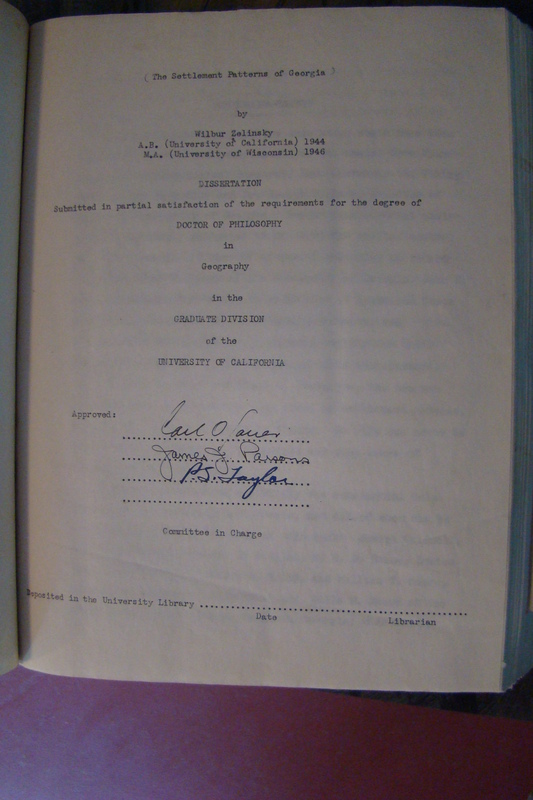 It was a rare treat to hold his hand-typed doctoral dissertation. The pictures were all held in place by yellowing tape and chronicled the folk architecture of rural Georgia. Seeing the original signatures of his committee (including Carl Sauer) was such a thrill to see 60 years after the fact. Wilbur Zelinksy is still recognized as an emeritus professor at Penn State, even after his passing. Later this week, there will be a memorial service on the Penn State campus (Oct 26th-see details here). As a graduate student, I was always impressed at how many departmental events he attended and continued to attend student presentations at the AAG (who does that?). If he were discussing the future of the discipline, he would would be the one with the Golden Marshalltown, begging future geographers to not abandon work in the field. I wish I could have attended his memorial service, but wanted to at least alter my own personal spaces as I was leaving this estate sale (how could I NOT buy some little treasure?) to remember him. 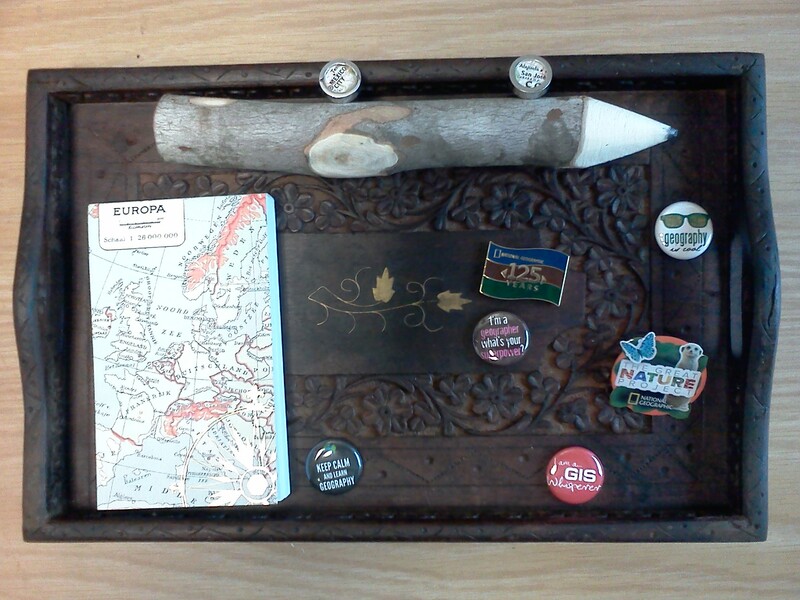 This hand-carved tray from India now has a home in my office and it’s a constant reminder to me that geographic research doesn’t just happen in offices surrounded by reading materials; it’s done by getting out there and exploring the landscape, making observations and critically analyzing the geographic context. That’s the legacy left behind by Wilbur Zelinsky.